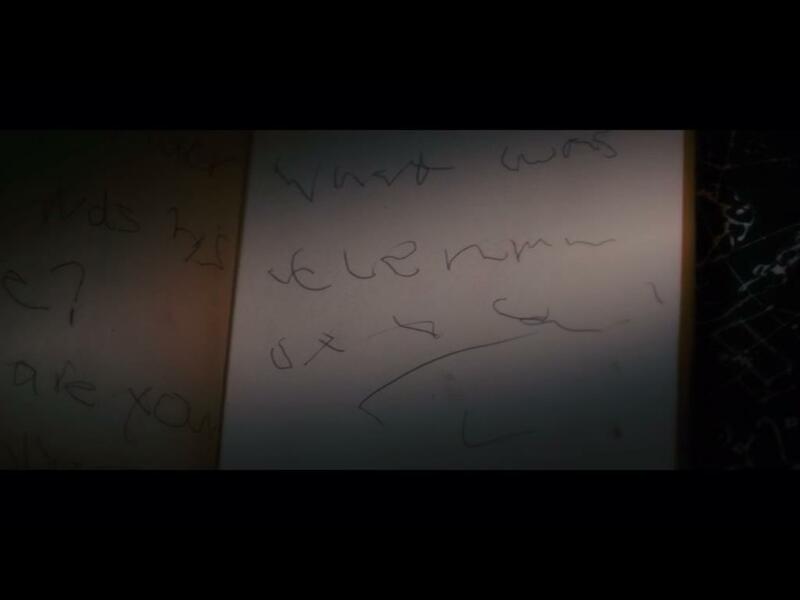 In Lars Von Trier's 2009 film Antichrist, "He" (Willem Dafoe) thumbs through his wife's gynocide diary and finds that the pages become progressively abstract, progressively asemic. This process culminates in the image above. Interpreting asemic writing via the lens of mental illness is a bit like treating house cats like lions. One need not necessarily turn something harmless into something vicious, but it's always prudent to mind the claws and teeth of our fellow predators. For reference and context, the entire series of diary pages appears below.